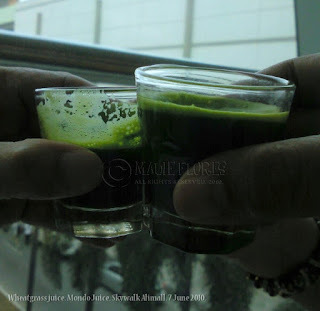 Yesterday, I drank my first shot of wheatgrass juice. This new health craze has made me curious since last year but I was too scared to try tasting it. My sister warned me that it tastes like grass but now I know that I was stupid to believe her. Wheatgrass juice actually tastes sweet and not as horrible as I imagined it to be. It was just like eating unripe guava or a strip of uncooked stringbean. We had our first taste of wheatgrass juice during our visit to Mondo Juice in the new Alimall Skywalk. A 1 oz. glass costs 85 pesos and is quite expensive for me. Imagine if I order a glass once a day which is the recommended dosage. Even if it's just 2-3 ounces a week, it would still be on the pricey side. So I did some research and remembered that my editor wrote an article about wheatgrass juice and its benefits. That's where I discovered where to buy wheatgrass seeds for cultivation. I have already placed my order although I haven't received the payment instructions yet. I'll update you on my wheatgrass cultivation project soon as I receive my order. 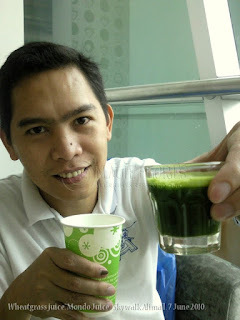 I myself experienced wheatgrass juice's detoxifying properties yesterday. At first, I didn't believe that a 1 oz glass could be as potent as it claims to be. True enough, I felt nauseous on our way home which was probably around 30 minutes after I had my shot of wheatgrass juice. I ended up taking a nap for an hour. I read that nausea is normally experienced when toxins are being flushed for elimination. My mother-in-law, who also had a shot, said that she felt warm after drinking the juice and had flushed cheeks. Other than that, she felt fine. My husband did not feel any effects at all. Congratulations Mauie! Welcome to the world of wheatgrass planting and fresh juicing. Your mom's and hubby's reactions are ideal, they're probably used to drinking fresh juice and vegetable compared to you. But not to worry your body too will start adjusting to it. Hello! I really like reading your blog. 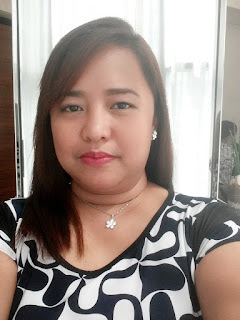 I'm also a mother like you, and pareho tayo, ganun yata talaga pag nagkasakit ka or na-diagnose ka with something like this, you research and do everything to have a healthy lifestyle. I also changed my diet--from white rice to brown rice, white sugar to muscovado, no meat if possible especially pork. I also do yoga now and it really helps. I recently discovered barley grass. Have you heard of it? Try searching it in google or YouTube. The brand I use has stevia as its sweetener. Very good for diabetics. So far i've been medication free. i experienced worse... i had a migraine attack which i havent had in 6 years. talk about major detox... im on my fourth day and my recent summer w acnehich has began to spread on my face has dried up. i cant wait to finish my box and go fresh.